Why would idle Gideros player (just started, no app running) use very high GPU and CPU? I use the player in high resolution. In lower resolution the GPU and CPU usage is less and I understand that the video card and the CPU are nothing special, but still... it is idle. I started playing with the player options. 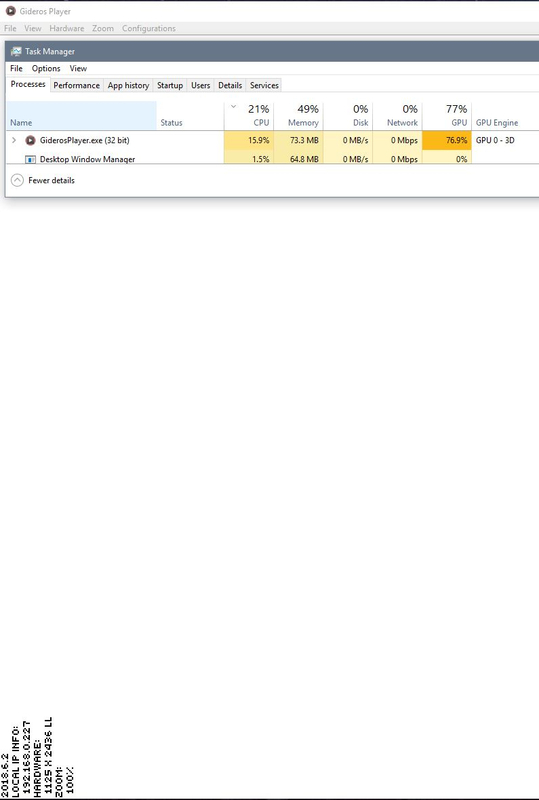 When I checked "Use VSYNC" (which was unchecked before) - the idle GPU usage became 0 and the CPU usage close to 0. Nothing else changed(the apps run and look the same).